Expecting couples everywhere are finding creative ways to let family and friends know what’s in the oven. I experienced this personally a couple months ago while dropping my wife off (late) for a baby shower / gender reveal party. As we drove down the street towards the house the sky suddenly lit up with fireworks! 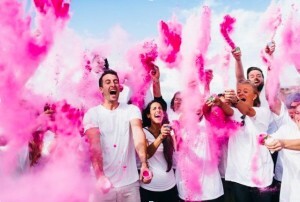 Now, I had never before wished I was at a baby shower but this sure made it interesting! My interest piqued, I walked up to find out who and why they were shooting fireworks at a baby shower? 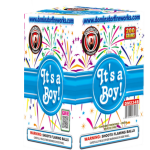 I quickly learned that the expecting mother decided to use fireworks to reveal the baby’s gender, as the firework was a multi tube cake device that shot all blue colors it made it obvious as soon as it was explained she was having a boy! 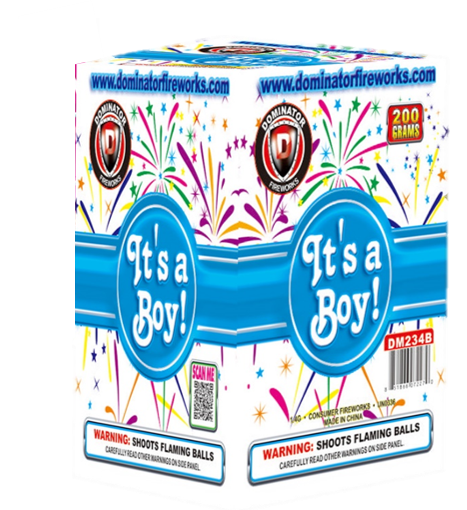 New for 2016 at USFireworks is a line of gender reveal items that we think are perfect for such occasions ranging from pink and blue confetti poppers to it’s a boy and it’s a girl 12 shot 200g cakes! 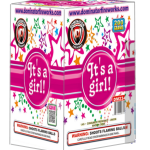 Make your party memorable, order your gender reveal items for 2016 right here at USFireworks.biz! 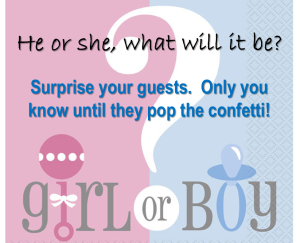 Some items available include the Night Gender Reveal assortment. You choose either the boy assortment or the girl assortment. 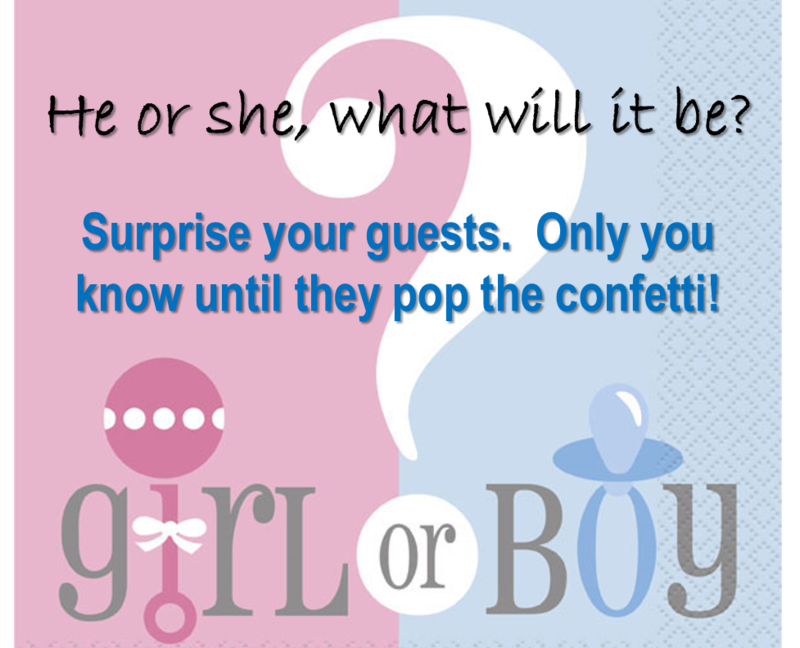 Your guest’s are each handed a Confetti Blaster that says “Is it a boy or girl”, so only you know. Once you are ready, you can light of your aerial cake and the sky will burst with either all Pink stars or all Blue stars. Finally your guests will pop their confetti and streamers of either pink or blue will shower around them depending on if you choose the Boy or Girl assortment. The Daytime Assortment is similar as it includes 16 confetti blasters, but it also includes 4 mega smokes. So if you bought the boy assortment, you will have 4 all blue mega smoke canisters that will fill the air with a beautiful blue smoke. 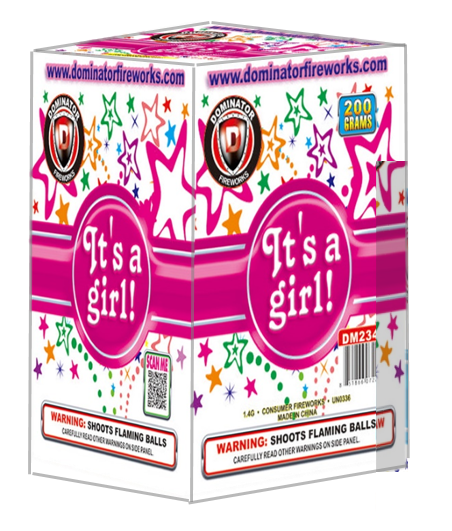 This entry was posted in Holiday Fireworks, Weddings and tagged Gender Reveal, Holiday, Wedding Sparklers. Bookmark the permalink.